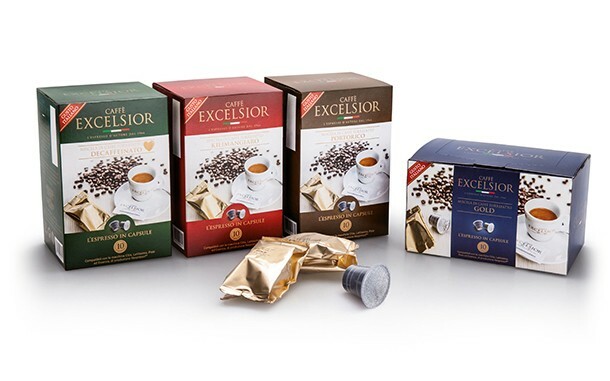 Blend of pure coffee roasted, ground and packed in capsules in a controlled atmosphere in order to preserve quality and fragrance. *The trademark is not owned by Luadan Future Trade Ltd. or Excelsior S.r.l. Available in dispenser packs of 20 or 50 capsules.